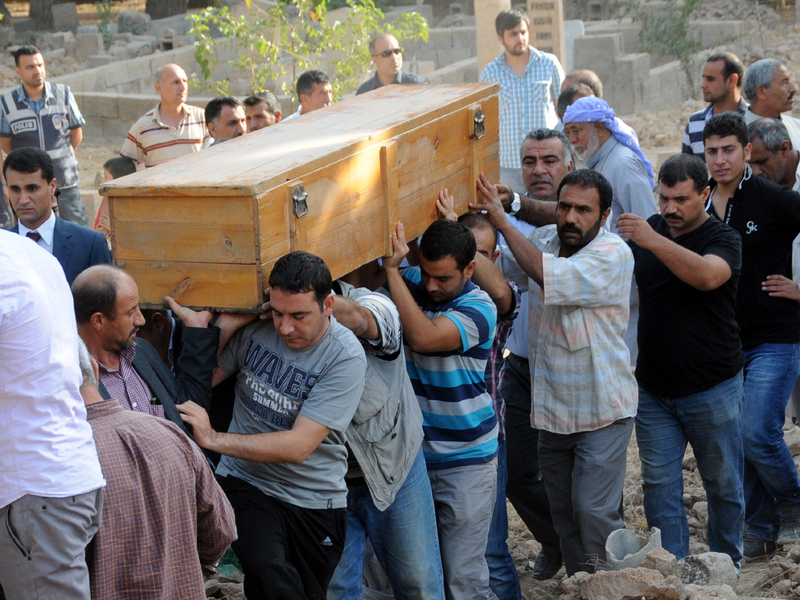 AKCAKALE, Turkey Syria admitted it was responsible for Wednesday's shelling that killed five civilians in Turkey and formally apologized for the deaths, a top Turkish official said Thursday. Turkey continued to retaliate into Thursday morning, firing artillery on Syrian targets. On "CBS This Morning" Thursday, CBS News correspondent Clarissa Ward, who recently returned from Syria, agreed that the shelling in Turkey may be the first shot in a wider conflict. "The region is on tenterhooks in Lebanon, in Turkey, in Jordan, and I think everybody is watching very closely to see how the revolution within the country is changing face, how it is implementing more extremist tactics, how people are becoming more radicalized," Ward said. "But at the same time what the Syrians would say to me is, 'You think we want extremists to come in and hijack our revolution? No, of course we don't, but we're drowning, and we asked you, we said, 'Give me your hand,' and you didn't give it to us, and they will, so we're going to take it.'" The Syrian government had not acknowledged that Turkey fired across the border, but officials in Damascus did say they were investigating the killing of the five Turkish citizens, and they offered condolences to the families. The shelling appeared to come from Syrian government forces who were fighting Syrian rebels backed by Turkey, which has called for the ouster of Syrian President Bashar Assad. Atalay also said Thursday that a bill approved by the Turkish parliament authorizing the use of force in Syria was not a declaration of war but was intended as a deterrent against its neighbor. He told reporters after the vote on Thursday: "The bill is not for war ... It has deterrent qualities." Parliament voted 320-129 in favor of the bill authorizing the military to conduct cross-border operations in Syria, which opens the way to unilateral action by Turkey's armed forces inside Syria, without the involvement of its Western and Arab allies. "Our armed forces at the border region responded to this atrocious attack with artillery fire on points in Syria that were detected with radar, in line with the rules of engagement," the Turkish government said in a statement Wednesday evening. "Turkey, acting within the rules of engagement and international laws, will never leave unreciprocated such provocations by the Syrian regime against our national security." Williams says the fear is that the cross-border tension could escalate, which would be massively destabilizing for the entire Middle East region, and could even draw in the U.S. as a close Turkish ally. Turkish Foreign Minister Ahmet Davutoglu tried to quell those concerns Thursday, saying Turkey had no intention of going to war with Syria, but that it is capable of defending its borders and will defend itself when attacked. Secretary of State Hillary Rodham Clinton said the U.S. was "outraged that the Syrians have been shooting across the border," adding that she intended to discuss the matter with Davutoglu. There was also a hastily called meeting of NATO representatives on Wednesday evening following the artillery fire. A NATO official confirmed to CBS News that the meeting was convened at the request of Turkey within the framework of Article 4 of the NATO treaty, which states that "the parties will consult whenever, in the opinion of any of them, the territorial integrity, political independence, or security of the parties is threatened."